Lots of work up and down the southern part of the Blue Line already with the New Blue project entering its second week. I took this picture Thursday at the Willowbrook/Rosa Parks Station, which is being totally overhauled. Those are old lighting fixtures below. The key word above is average — I’m guessing it’s skewed by the high-end vehicle market as there are certainly some good new cars available for less than $31K. Then again, the point here is that people are not shy about spending money on mobility, at least the driving kind. Of the car ads that played during the Super Bowl, the Hyundai one was clearly the best — and it focused on improving the often miserable experience of buying a car. Curbed LA dives into Metro’s ridership numbers and notices that rail took a dip in 2018 in addition to the bus losses. As the post notes, ridership is down at many large agencies. What can be done? Metro officials cite the bus restructuring and New Blue efforts underway as well as system expansion and future customer upgrades. The most intriguing numbers to me: both the Expo Line and Gold Line expanded in 2016. The six-mile Expo project almost doubled that line’s ridership. 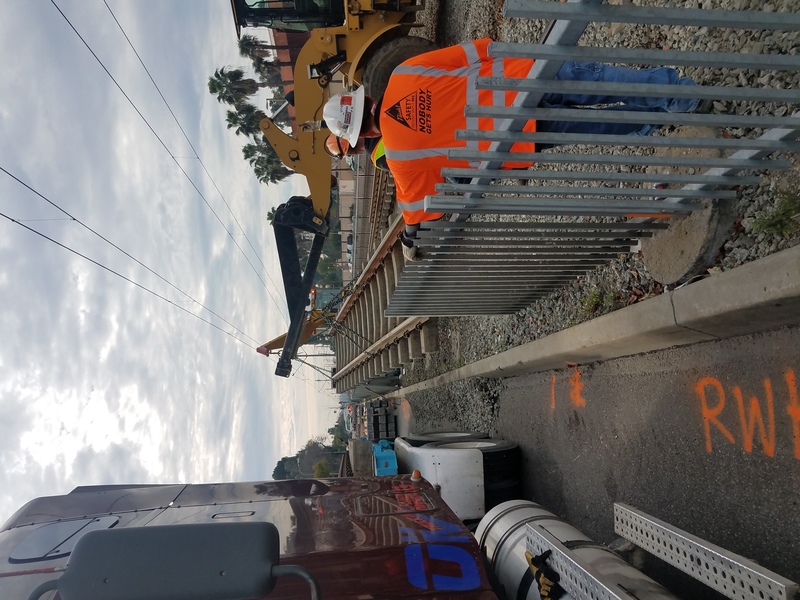 The Gold Line’s 11-mile addition saw a 14 percent boardings boost. Both had six new stations. The difference? Probably two things. The Expo Line serves a denser area, ends close to the beach and is probably easier to reach in terms of first/last mile connections. Citylab has a story about federal transit funding drying up in 2021 — and that urban areas that receive federal funds should be rightly worried. A concern here: federal help building pricey projects in the future. The Purple Line Extension and Regional Connector are currently getting a big injection of federal funds, but Metro is planning to build a number of projects beyond those two. One cure — and it’s not an easy one politically in a country in which most people get where they’re going via the motor car: raising the federal gas tax. Good LAT coverage of the new refined concepts released for the Sepulveda Transit Corridor project. As the LAT notes, there’s about $5.6 billion from Metro’s ballot measures and other sources available for the Valley to Westside segment and that cost estimates for the refined estimates will be done after more analysis and engineering. There are a lot of LAT reader comments, which are all over the place. Same with our post last week on the project. We made an observation about proper tire inflation on Friday, as we like to have some occasional fun on social media. FWIW, the Boston Globe noticed. Quasi-related? Hate the Patriots? Check out their 2019 schedule. Little travel involved and not exactly killer, suggesting New England will be back in the post-season come January 2020. As for the Rams, I suspect they’ll be Super Bowl contenders in upcoming seasons. The highlight of their 2019 schedule? A home game against the New Orleans Saints at the Coliseum. I’m betting that one will be a Sunday nighter. The NYT has a story about crime in the New York subway, with some saying it’s on the rise and others saying it’s still very rare. Here are the most recent numbers for our system. A simpler way of saying it: There were 134 crimes against persons on the Metro system in November, when there were 31.4 million boardings. In October, there were 141 crimes against persons out of 34.5 million boardings. The numbers were slightly up in November and slightly down in October. On a per million boardings basis, that’s about four crimes against people per million boardings on the Metro system in November. Although it’s a bit of an apples-to-oranges comparison, here are some crime numbers for California in 2017, which shows a significantly higher rate of violent crime as a whole. That’s not an excuse — we want our system to be as safe as possible — but it might be helpful to put our crime stats in perspective. 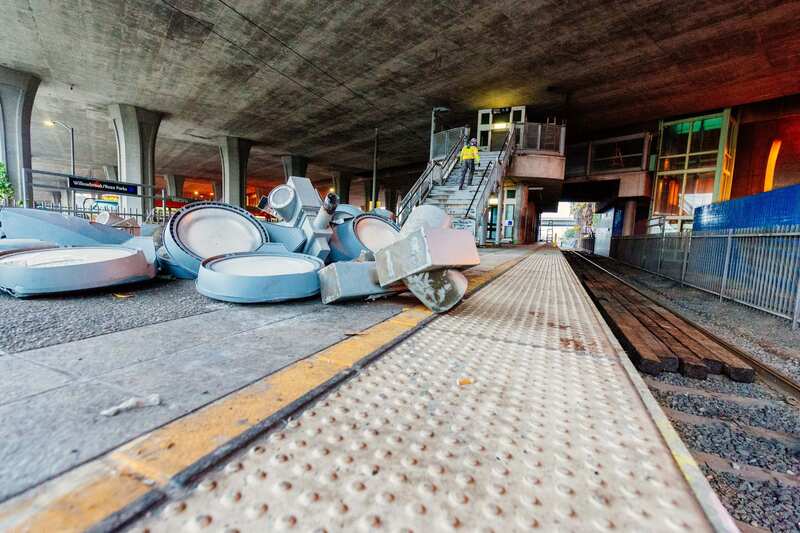 Will the blue line stations be lengthened to accommodate three car trains? All Blue Line stations already accommodate three-car trains. In fact, during rush hour, most Boue Line trains are three-car trains. Aren’t all rail lines systems designed to accommodate 3-car trains? Yes, the light rail system — with exception of west end of the Green Line — can accommodate three-car trains. 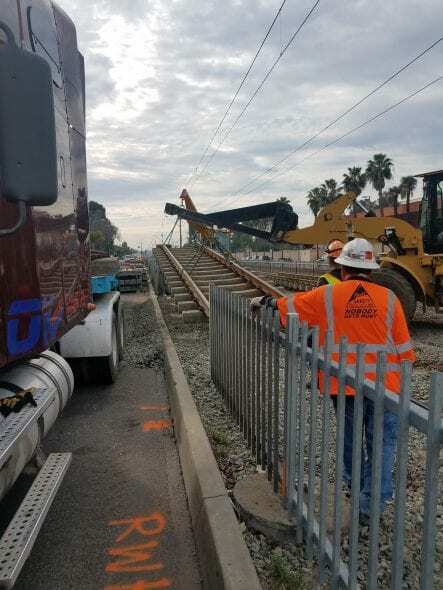 That includes the two light rail cars currently being built, Crenshaw/LAX Line and the Regional Connector. I used to be much more enthusiastic about public transportations growth in Los Angeles, but not so much anymore. We need to start building things correctly up front instead of going through the motions (WSAB is a great opportunity to get it right.). Once metro takes over operations, they fail miserably. Ive seen 28 minutes waits, of course im thinking about defecting and getting a car. Lifetime rider here; and I give up. Cant wait to get wheels and forget about MTA. All Blue Line stations currently accommodate 3-car trains. You may be referring to the Green Line stations which can only accommodate two-car trains west of Aviation/LAX Station. If there’s a new administration in Washington after the 2022 election, an increase in mass transit funds is probable. Highly unlikely an increase in the Federal gas tax goes through. Even if it did, the funds would be used for road and bridge infrastructure. I think people here are trying to ask if the New Blue project will enable the possibility of 4-car consists. I’d say why not just revive the old Gold Line’s limited stop service after it becomes the Blue Line when the RC opens? Let’s hope one day those short Green Line platforms can be rebuilt. Until that happens, I think accommodating a 3-car train at a 2-car platform is possible. Make two stops per station. Stop 1 = only open the doors of 1st and 2nd cars. Stop 2 = only open the doors of 2nd and 3rd cars. It will add a minute to the schedule and it may seem silly, but it could work just fine. Plus, it is not that the line needs 3-car trains for all runs.